Submitted by Franck, this article belongs to the Poker Top 10 lists series. Franck wanted some links on my blog, and I asked him to write a piece on the top 10 starting poker hands in Texas Hold’em. Let me know what you think of his article. 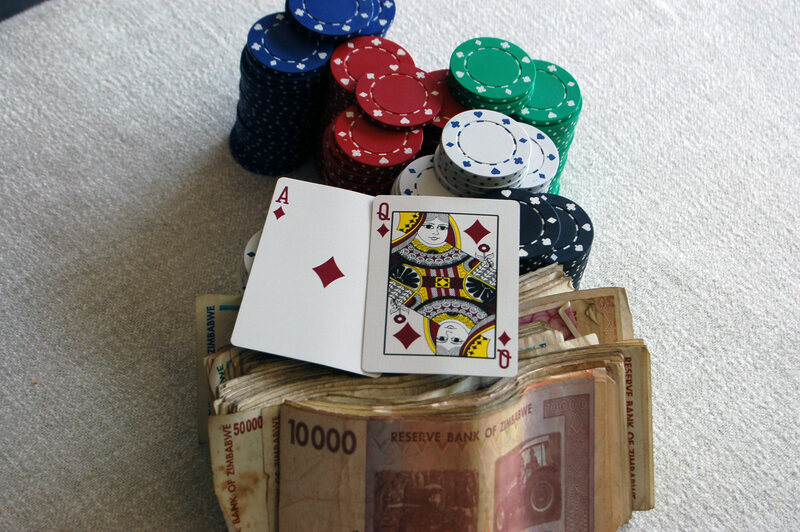 Texas Holdem is the most popular poker game in the world. 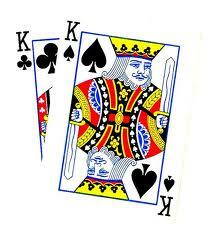 Each day, millions play this card game on the Internet. 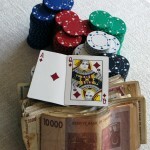 Holdem is a simple game but that doesn’t make it easy to master. If you find yourself tilting more times than you should, then you need to consider your playing strategy. One thing that can help you improve your chances of winning at Texas Holdem is to understand what the best starting hands are. In this article, we’re going to consider the ten top hands. 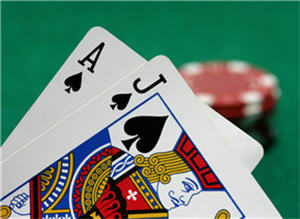 Basic Texas Holdem strategy dictates that you play around 25% of the hands you’re dealt. Here are the top ten hands and the percentage of hands that are won by players who hold these powerful hole cards. 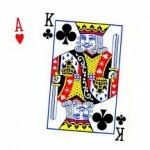 Aces occur 0.45% of the time. This is the best starting hand you can get. Some play it aggressively from the start. You’ll also see this hand 0.45% of the time. Although very strong, it wins about 2% less than aces. Queens also happen 0.45% of the time. These are strong hole cards. 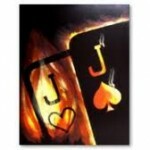 However, they are susceptible to being beaten by suited hole cards. You’ll see this pair at the same rate as the other pairs—0.45%. They can easily fall prey to any suited high combination. These pairs will come up as often as other pairs (0.45%). Stay in the hand for as long as you can while risking little, they could be winners if betting is conservative. You’ll see these less often than pairs—0.30%. 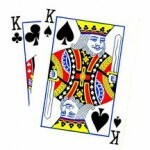 However, these can be powerful with a good flop. 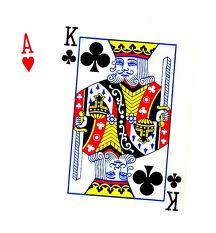 The ace gives you the best possible flush. 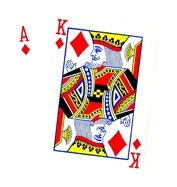 An A, K can often win on their own or they can pair up. These occur 0.3% of the time. These are versatile—they can pair up or become a flush. A straight is also possible. It comes up at a rate of 0.30%. The ace is great for a flush. Inside straights are hard to hit. Wait for the flop before pushing the betting. They come up at the same rate as other suited high cards (0.30%). These appear 0.30% of the time. Here are a few tips for playing these hole cards. 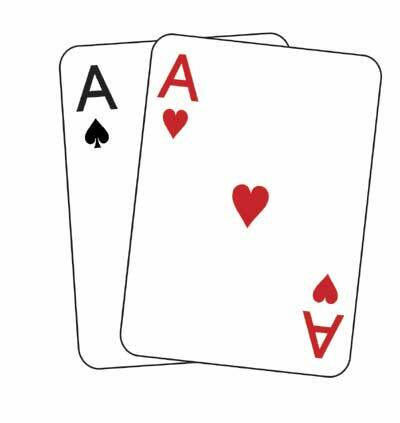 Even with two aces, there’s no guarantee that you’ll win. 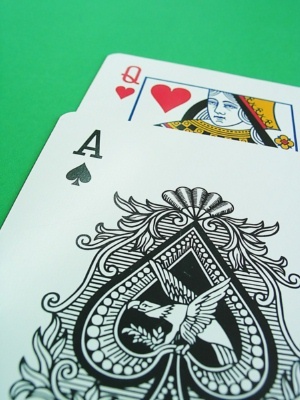 Don’t play a pair of 10s the same way you play aces. 10s are much weaker. As an example, a pair of sevens wins 13.30% of the time. 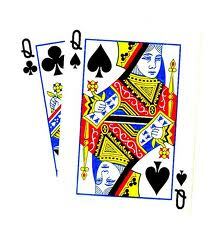 That makes a pair of 10s closer in strength to a pair of sevens than they are to a pair of queens. Play 10s as you would sevens, carefully and conservatively. 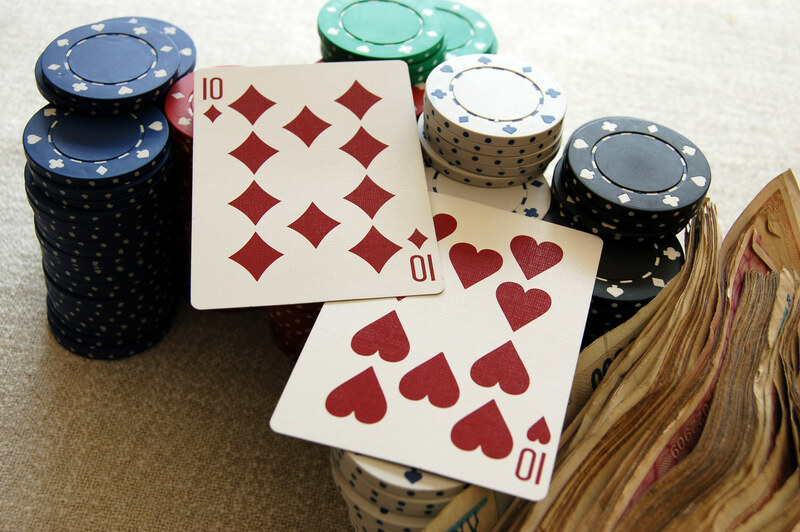 When playing high, suited hole cards and hitting the flush on the flop, you need to be wary of being beaten by a possible full house on the turn and the river. Use these tips and the top ten hole card breakdown to your advantage. 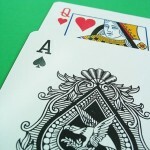 Many players won’t go in on a hand unless they are holding one of the above combinations. It’s true that in order to play in this manner you need discipline and patience. 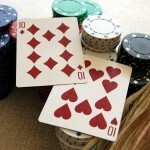 However, those two attributes often payoff when playing Texas Holdem. I usually folding pocket pairs below 10 if I’m not in late position, because too many risks comes with the overcards even in a fair flop. Sometimes they’re good in heads up, or 5 or more multiway pot situations (when every player has each others outs…) but otherway they pretty much useless. 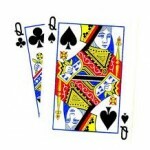 Folding pocket pairs below 10 if you’re not late seems a bit too tight. I will always call 2-5bb raises with any pocket pair for set value. 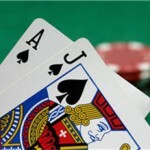 I don’t agree with that, the odds to hit a set are 8 against 1 on the flop. If a over card falls (which happens most of the time) and the original raises places a bet you cannot call anymore. Even if it’s a bluff you never know where you stand and you probably need to call a bet on the turn and river too. So I agree with the first mark, if course if its an tight table its a different situation. @ The probability of flopping a set is 11,76%, which works out to an odds of around 8,5 to 1 (or if you use the European decimal system a pot odds of 9,5). 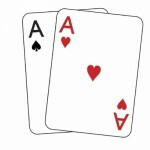 By use of the Easy rule of thumb (http://pokerbankrollblog.com/poker-probabilities_all-you-need-to-know.htm) the probability of hitting your set on the turn and river is about 7%. This gives you a total probability of hitting you set of roughly 20%, which works out to odd around 4 to 1.